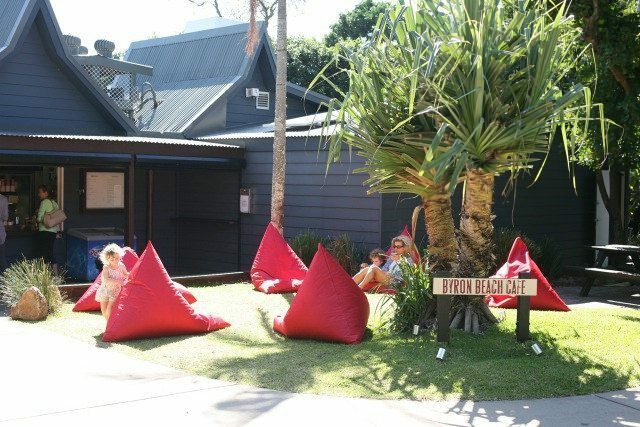 Bean Bags R Us NewsOutdoor Bean BagsWhy Do Byron Beach Café Customers love our BeanBags? Each year more than a million visitors from around the world travel to the beachside town of Byron Bay. Australia’s most easterly point, Byron Bay is renowned for its relaxed, laid-back lifestyle, pristine coastal scenery and white sandy beaches. Locals welcome travelers who provide significant economic benefits for the region. The area attracts a large number of backpackers, as well as people who enjoy alternate lifestyles. The real estate in Byron Bay is regarded as some of the most expensive and sort after in the country. Cape Byron is the most easterly point of Australia. Byron is where you will find one of the country’s most powerful and oldest lighthouses, originally built in 1899. The region known as the Northern Rivers and is situated on the northeast corner of New South Wales. Each year, Byron Bay hosts Australia’s largest blues and roots festival, aptly named the Byron Bay Blues Fest. The festival attracts dozens of world-class performers and artists from overseas and is visited by more than 150,000 people annually. Since 2007, the festival has been hosted on a private three hundred acre farm. Already, the 2015 Bluesfest is packed with a star-studded lineup of musicians from around the world. The area is popular with conservationists, and it is for this reason that the beachfront reserves maintain pristine appearances. The beaches are some of the most beautiful in the world, and surfers travel for miles to take advantage of the excellent beach breaks. The majority of Australians visiting the area come from Queensland because it is less than an hour’s drive. Idyllically situated on the absolute beachfront at Byron Bay, the Byron Beach Café is a very popular meeting place for residents and tourists. It is the only restaurant and wedding venue situated on absolute beachfront land in Byron Bay. In the past five years, the site has received sixteen awards for excellence. Having visited the café on many occasions, I can tell you that the food, the service and the atmosphere, is second to none! It is open daily for lunch and dinner four nights a week, and it is fully licensed. During the day, hundreds of guests enjoy a cool, casual atmosphere whereby they can enjoy the ocean views. The front of the café is used as a park kiosk, where you can buy soft drinks, ice creams or fish and chips. The surrounding gardens are graced with lush green grass and huge Pandanus trees. It provides a convenient stopover for cyclists and visitors walking along the foreshore. The café has become so popular by day that it simply ran out of room. To meet the demand from intending diners, it has utilized the open space of the park to accommodate the additional customers. By night, the venue transforms into a more sophisticated restaurant, providing a unique and romantic ambience. It is also renowned as one of the district’s most popular wedding reception venues. Diners will experience some of the finest seafood in the world, as well as the freshest organic Byron Bay produce, much of which is grown in the nearby hinterland. Here you will enjoy the peace and tranquility of the nearby ocean as well as the romantic reflection of the moonlight shimmering on the water. 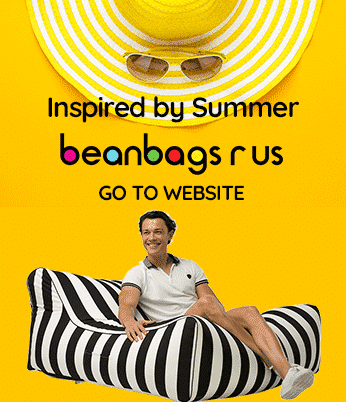 Where did you get those Bean Bags? The café recently purchased some Bermuda Triangle Outdoor Loungers from Bean Bags R Us Australia. All are in a bright red colour, and they allow guests to relax in the sun while enjoying a cup of coffee or a lunchtime snack! The waterproof polyester is easily cleaned and is ideal for commercial environments where food and beverages are being served. The lazy bro doubles as a bean bag chair and a lounger. The extended seating area provides support for your limbs, making it the perfect choice for anyone wanting to put their feet up! It comes in nine different colours including black, blue, turquoise, silver, white, pink, orange and lime. The heavy-duty material used in the outdoor range is treated to resist fading from direct sunlight and will also repel mold. According to the restaurant’s operations manager, the staff are frequently asked ‘where can we get those bean bags? Other products in the heavy-duty polyester range that are popular for outdoor and commercial applications include the Media Lounge, the Big Boppa, the Big Mama and the Freaky Cousin. The entire range of outdoor products is suitable for screen printing, making them ideal for corporate events and promotional activities. If you are visiting Byron Bay this summer, make sure you visit the Byron Beach café in Lawson Street. Not only will you be welcomed and receive an excellent feed you will also be very comfortable!